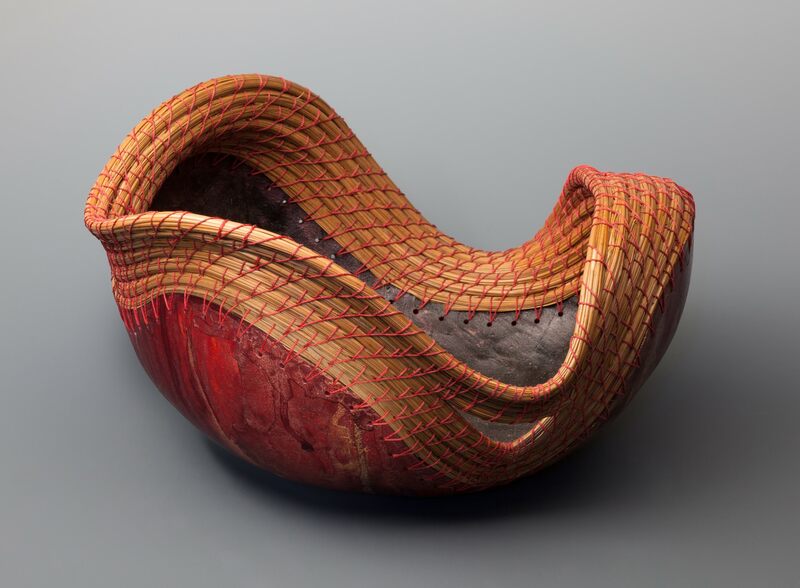 Toni Best has been addicted to basket weaving ever since she was exposed to basketry while in an eighth grade art class. When she first began as a basket weaver fifty years ago, she specialized in reed and splits. Toni progressed to pine needle basketry thirty four years ago. Then she expanded her basketry art to include gourds as a support for her weaving. She is recently branching out and exploring greater use of color and design. Her artwork has evolved from a more conservative art, to pieces now illustrating greater freedom and organic design. Toni will be teaching her unique style at several festivals and events in 2018 and 2019. Her schedule of classes can be seen here.